Cloud computing is one of the greatest technological boom which delivers new computing models for service providers and individual consumers including infrastructure-as-a service (IaaS), platform-as-a-service (PaaS), and software-as-a-service (SaaS), which enable novel IT business models such as resource on demand, pay per use, and utility-computing . The benefits of cloud computing to enterprise consumers and service providers have been well explored. Research is needed to explore the new design models and unique requirements of cloud aware applications in order to leverage their full potential. You may be wondering: what does the term “mobile cloud computing” really mean? Basically, it refers to an infrastructure where both the data storage and the data processing happen outside of the mobile device. Today, there are already some good examples of mobile cloud computing applications including mobile Gmail, Google Maps, and some navigation apps. However, the majority of applications today still do most of the data storage and processing on the mobile devices themselves and not in the cloud. In a few years, that could change. With the advent of mobile cloud computing, increasing effort has been put into developing platforms that simplify the development of cloud-based mobile applications. Creating apps for the mobile cloud is significantly different than developing apps for a native smartphone platform like the iPhone or android. But over the long run, the mobile cloud computing model may prove more profitable for app developers, and open the field to a larger number of developers. Reasons: Why are people choosing to go with mobile apps along with cloud? The first reason is the number of users the technology has the power to reach is far more than the number of smartphone users alone. The second reason has to do with how applications are distributed today. Currently, mobile applications are tied to a carrier. If you want an iPhone app, for example, you have to first have a relationship with the mobile operator who carries the iPhone. If you want a Blackberry app, the same rule applies. But with mobile clouding computing applications, as long as you have access to the web, you have access to the mobile application. 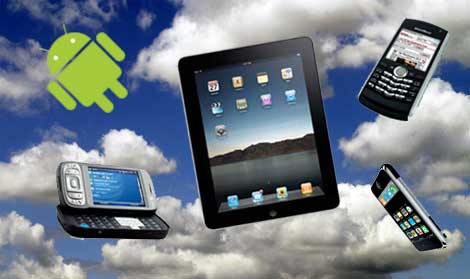 Now, it’s on the app developers how quickly they reach the targets in the domain of mobile apps with cloud computing. I simply want to mention I’m beginner to blogs and absolutely enjoyed you’re web site. Most likely I’m going to bookmark your blog post . You actually have impressive articles and reviews. Thanks a bunch for sharing your web page. Just want to say your article is as amazing. The clearness in your post is simply excellent and i could assume you are an expert on this subject. Well with your permission let me to grab your RSS feed to keep updated with forthcoming post. Thanks a million and please carry on the enjoyable work. Good website! I really love how it is easy on my eyes and the data are well written. I am wondering how I could be notified when a new post has been made. I have subscribed to your feed which must do the trick! Have a nice day! “Reputation is what other people know about you. Honor is what you know about yourself.” by Lois McMaster Bujold. Hello my loved one! I wish to say that this post is awesome, nice written and include almost all vital infos. I¡¦d like to see extra posts like this . You are so awesome! I do not think I have read through a single thing like this before. So nice to find somebody with some unique thoughts on this topic. Really.. thanks for starting this up. This web site is one thing that is required on the internet, someone with some originality! you’re actually a good webmaster. The web site loading velocity is amazing. It seems that you’re doing any distinctive trick. In addition, The contents are masterpiece. you’ve performed a great activity in this topic! An interesting post there mate ! Thanks for that !